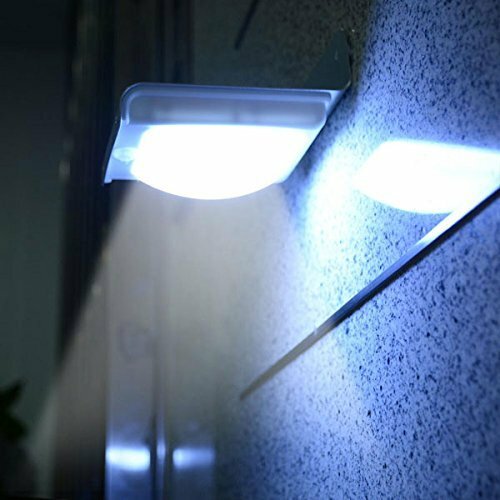 This 16 LED Solar Power Wireless Motion Sensor Light is a very environmentally friendly way of lighting your garden, driveway, doorways, flowerbeds or patio. The motion sensing light is triggered when someone or something enters within 3-5 meters range in a 120 degree sensing angle. It can be installed under the roof, gutter or fixed on the fence to light up your way. It's also saving money and necessity of your daily life. * No electricity cost: Li-ion, 3.7V 900mAh recharged by solar panel under sunlight. * Easy to install: No wiring required. * Smart and sensitive detector: The motion-sensing light is triggered when someone or something enters within 3-5 meters range in a 120 degree sensing angle. * It will automatically be off if you left over 30 seconds. * Charging time: No less than 8 hours in sunny days. * Manual Operation Optional: On / Off Switch. * Waterproof: IP65 level of protection for better weatherproof effect.